Digitisation of teaching materials is subject to compliance with important copyright restrictions (see Copyright: what can be digitised?). The system will check your requests for copyright compliance, however it's a good idea to be familiar with requirements (e.g. the maximum length of extract that can be digitised) before submitting requests - or in cases where you may need to adjust a request in the event of it being rejected. – if you want to recommend a journal article and the University Library does not have access to the online version, or the journal is only held in print. If however you already possess a scan of a reading that you want to use, the system allows you to upload a copy yourself. A brief video guide and more detailed step-by-step instructions to placing requests are below. Copyright: what can be digitised? Library holdings: the University Library must hold at least one print copy of the work a scanned extract is taken from. [More details] In some cases it may be possible to obtain permission from the copyright holder to reproduce an extract from a work. Publisher restrictions: while most UK-published works may be scanned, some categories and works are excluded from the terms of the copright licence. Arrangements for other countries vary, but in general regulations governing scanning are more restrictive. Information on restricted works and regulations regarding overseas territories can be found here. A handy tool for checking if a work is scannble can be found here. Uploading: a copyright coversheet must be attached to any scanned material before it is made available online – the system will provide this automatically for successful requests. 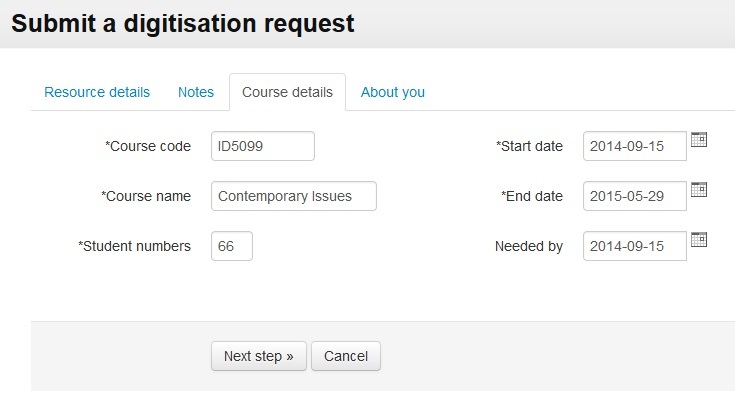 You may not upload scanned material to Moodle or MMS yourself. You will need to ask to be given permission to request digitisations - e-mail us at readinglists@st-andrews.ac.uk for this. You'll be sent an invitation by e-mail to accept the role of Copyright Clearance Pilot - simply click on the link in it to accept the invitation. Step 1: You will need to ask to be given permission to request digitisations - e-mail us at readinglists@st-andrews.ac.uk for this. You'll be sent an invitation by e-mail to accept the role of Copyright Clearance Pilot - simply click on the link in it to accept the invitation. Clicking the Request Digitisation link will open a request form in a pop-up window. 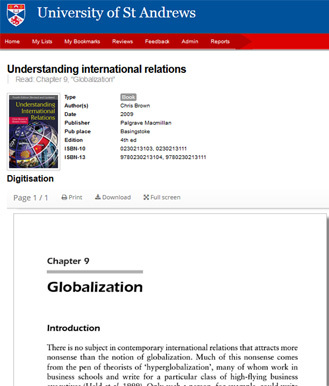 The format of this will vary depending on the type of resource (book chapter, section of a book, or journal article). If not already completed, you should enter details in the asterisked required fields. If you already have a PDF of the extract you can choose to upload it from your PC using the Browse button. The PDF must be a clean copy (not marked up, no shadows or anything that would make the text difficult to read); it should also match exactly the details you have entered (i.e. same page range etc) - you will need to tick the "I confirm ..." box to confirm this. You will only need to enter a page range here for chapters which have notes at the end of the book. If this doesn't apply click Next step. If however any of the details are missing or incorrect it's important that you insert the necessary information. The request is successful. This request has been sent to have a coversheet attached. This applies in case where you have uploaded a PDF yourself. This request requires a copy to be uploaded [...]. The request was successful - library staff will scan and upload the extract. The system cannot identify the requested resource based on the data supplied [...]. The ISBN may be missing, or library holdings not immediately evident: library staff will investigate this further and upload a copy if copyright regulations permit. A newer edition is available [...]. Copyright requirements stipulate that we must source scans from the latest edition of a work, unless there is a good pedagogical reason for using an earlier edition. You should check Library search to check if the Library holds a copy of the latest edition - if so, add a bookmark for this edtion to your list and use it to submit a new digitisation request. If not, it will be necessary for us to purchase a copy (see your School's library rep or contact us at readinglists@st-andrews.ac.uk to set this in train). If you do have pedagogical reasons for using an earlier edition you'll be given the opportunity to give your reasons in the form in this window. This resource is not held by the library. 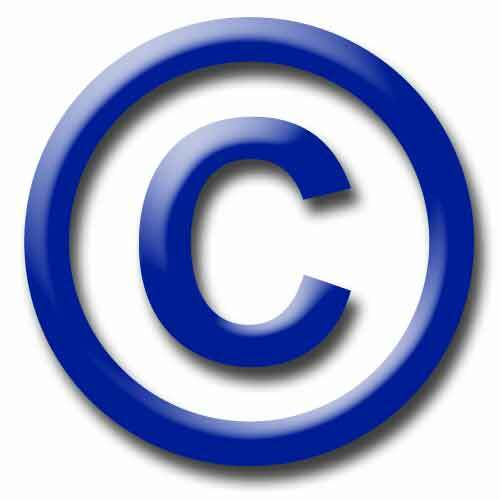 Copyright requirements stipulate that the Library should hold a print copy of the source work, or to obtain permission to reproduce the extract. In most cases we will seek to purchase a copy of books we lack (for details on how to arrange this see the previous paragraph), but in some cases (e.g. journal articles, books which are expensive or difficult to acquire) we can investigate getting a copyright-cleared copy. Because of publisher restrictions, it is not always possible to obtain copyright clearance and your request for a digitisation may be refused. This request cannot be serviced under the terms of your RRO license. Your request has been refused because it does not comply with UK copyright regulations. Contact us at readinglists@st-andrews.ac.uk if you need clarification about the particulars of this. This request exceeded the copy limits for the work/course. There are strict limits on the proportion of a work that can be scanned (see Copyright: what can be digitised?). You could however resubmit your request with a reduced length, e.g. if you originally requested two chapters from a book you should choose one of these (as permitted under copyright regulations) and resubmit. Step 7: When you return to your list, you'll see that the item is now marked Digitisation pending. If it goes through successfully Library staff will deal with the request and this will change to Digitisation live. At this point students will be able to access the reading via the Online Resource button on the public view of your list. 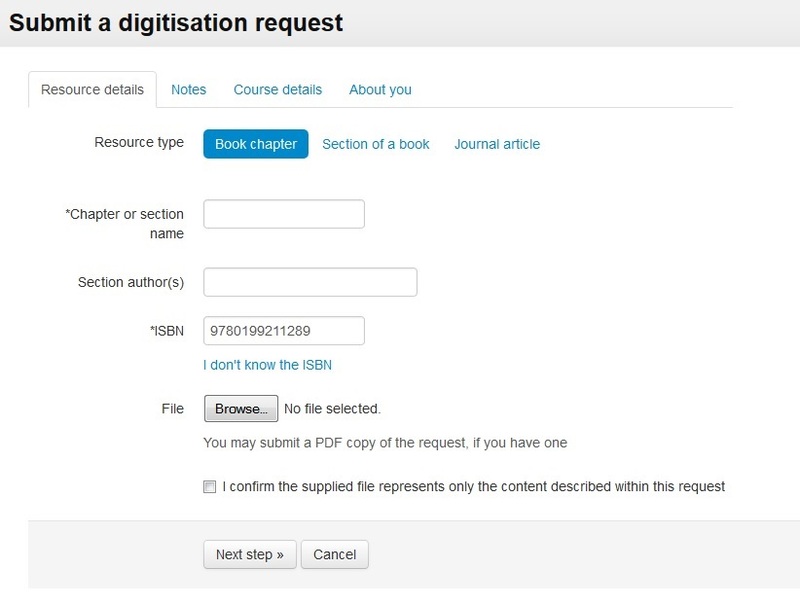 For successful requests, you'll receive an e-mail to let you know when the digitised extract has been uploaded. In other cases you'll receive notification of progress with/reasons for refusal of your request.